Enjoy a few days at our beautiful location, away from the rush! a meeting room according to the number of participants including the standard technology completes our package. As a special highlight, the conference host can stay free of charge! All listed prices already include 19% VAT. For our conference guests, we offer discounted train tickets to the conference location, in cooperation with the 250th best conference hotel and in cooperation with DB Bahn. 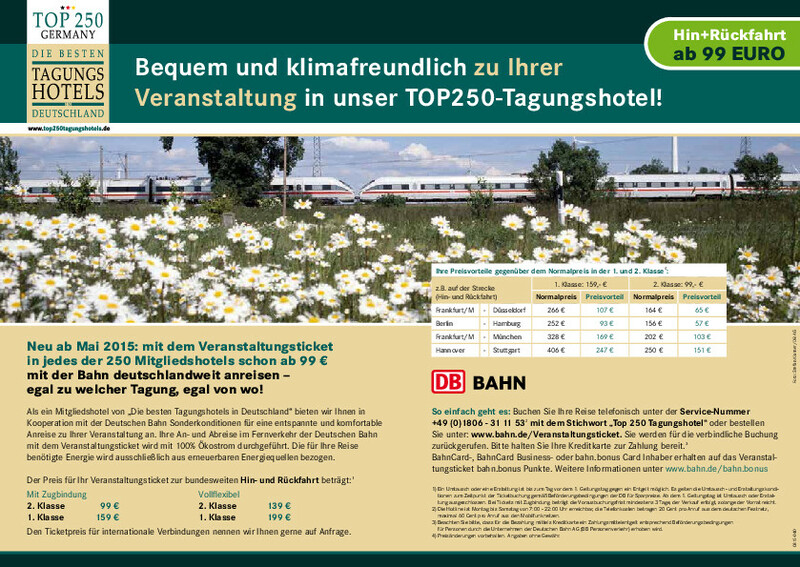 By the way, you also reduce your CO2 footprint when travelling by train!